Nuclear submarines will be analyzed in this material. Since the equipment of submarines with nuclear power and nuclear missiles, powerful hydro-acoustic systems and high-precision navigation weapons along with integrated automation of control processes and the creation of optimal conditions for the life of the crew they significantly expanded their tactical properties and forms of combat use. Tracking ballistic missile submarines (SSBNs) and submarines carrying sea-based cruise missiles of the potential enemy’s Navy in the areas of their combat duty and at the transitions, in readiness for their destruction, in order to disrupt or weaken the nuclear missile strike on the territory of Russia. Tracking the multi-purpose aircraft carrier group and ship strike group of the potential enemy’s Navy, in the patrolling areas, and on the transition to these areas, in readiness to strike the multi-purpose aircraft carrier group, in order to disrupt or weaken the air and/or missile attack on the territory of Russia. Combat duty in adjacent areas in territorial waters of the potential enemy in readiness to strike targets on its territory with sea-launched cruise missiles. Project 667BDR: These are second-generation NPSs. They are equipped with four 533mm and two 400mm torpedo launchers. There are 16 launchers for the R-29R missiles. Most of the submarines of this project are decommissioned. However, “Ryazan” is still in service in the Pacific Fleet. “St. George the Victorious” is in reserve. Project 667BDRM: These submarines are the basis of the marine component of Russia’s strategic nuclear triad with the role gradually being transferred to Project 955 “Borei” submarines. Submarines of the class are equipped with four 533mm torpedo launchers. There are 16 launchers for the R-29 RMU2 “Sineva” ballistic missiles. On board, there are portable anti-aircraft launchers for the 9K310 “Igla-1” / 9K38 “Igla” systems. “Bryansk”, which is also in the Northern Fleet, is undergoing scheduled maintenance. Project 941: It is a series of Soviet and Russian submarines, the world’s largest nuclear submarines. A large coefficient of buoyancy and a strong cabin allows the boat to break ice up to 2.5 meters thick. This allowed, for the first time, to carrying out of combat duties in latitudes which include the North Pole. Submarines of the class are armed with six 533mm torpedo launchers, 22 torpedoes 53-65K, SET-65, SAET-60M, USET-80 and anti-submarine missiles “Vodopad”, 20 “Bulava” ballistic missiles, 8 “Igla” anti-aircraft missile systems. One Project 941 submarine, Dmitry Donskoy, is in service with the Northern Fleet. “Arkhangelsk” and “Severstal” are prepared for dismantlement. Project 955: It is the most modern (4th generation) NPS with ballistic missiles in Russia’s Navy. The NPSs of this project are the first Russian submarines using a single-shaft hydraulic propeller with high propulsive performance. Project 955 is armed with six 533mm torpedo launchers, torpedoes, torpedo-rockets, cruise missiles, 16 “Bulava” intercontinental ballistic missiles, and portable anti-aircraft missiles systems. Laid down and in varying degrees of readiness: “Prince Vladimir”, “Prince Oleg”, “Generalissimo Suvorov”, “Aleksandr III”; “Prince Pozharsky” There are plans to deliver 14 nuclear-powered Project 955 submarines between the Northern and Pacific Fleets. Project 885: It represents the 4th generation of NPS with cruise missiles. This submarine is able to use all the armed sea-based cruise missiles of the Russian Navy. Project 885 is armed with ten 533mm torpedo units, P-100 “Onyx” anti-ship cruise missiles, Kh-35 anti-ship cruise missiles, Kh-101 strategic cruise missiles, ZM-54E and ZM-54E1 anti-ship cruise missiles, ZM-14E cruise missiles for destruction of ground targets. In the future, submarines of this project should become Russia’s main multi-purpose nuclear submarines. “Kazan”, “Novosibirsk”, “Krasnoyarsk”, “Arkhangelsk”, “Perm”; “Ulyanovsk” are Being laid down and in varying degrees of readiness. It’s planned to build a total of seven such submarines. Project 949A submarines are the most numerous in this class. These submarines lead the way in the number of “Granit” launchers on one carrier. Additionally, every submarine is armed with two 650mm and four 533mm torpedo launchers. Designed to destroy aircraft carrier strike groups, they are the Russian Navy’s main means of countering the US Navy strike aircraft carrier groups. “Omsk” is Assigned to the pacific Fleet and undergoing repairs. Project 671 RTMK: Not one of these submarines was ever lost and none of this project ever experienced a serious accident. Among submarine crews it is considered an extremely successful project for its characteristics of convenience and reliability. Active submarines of Project 671 RTMK are armed with two 650mm torpedo launchers and four 533mm torpedo launchers. “Petrozavodsk” is Scheduled for near future dismantling. Project 945: Submarines of this project marked the beginning of the third generation of multi-purpose nuclear submarines in the Soviet Union and became the basis for Project 971 submarines, which are the basis of the multi-purpose submarine forces of the Russian Navy. The use of titanium alloy of high specific strength allowed reducing the displacement of the submarine, as well as significantly reducing the magnetic field. After modernization, they will remain in service for another 10 years. Submarines of this class are equipped with two 650mm torpedo launchers, four 533mm torpedo launchers and eight 9K310 “Igla-1” or 9K38 “Igla” portable anti-aircraft missile launcher systems. “Karp” is assigned to the Northern Fleet and undergoing repairs and modernization. Project 945A: It has a titanium alloy body. The purpose of the class is tracking strategic submarines and aircraft carrier strike groups of the potential enemy and guaranting their destruction at the onset of conflict. It’s armed with six 533mm torpedo launchers, “Granat” cruise missile launchers, eight 9K310 “Igla-1” or 9K38 “Igla” portable anti-aircraft missile launcher systems. “Pskov” and “Nizhni Novgorod” are in service in the Northern Fleet. Project 971/971M: The submarines of this project became the main type of the multi-purpose nuclear submarines of the Russian Navy, replacing the outdated submarines of Project 671RTMK “Shuka”. Submarines are armed with four 650mm torpedo launchers, 4 533mm torpedo launchers. “Barnaul” is assigned to the Pacific Fleet and subject to dismantlement. This table deliberately does not indicate submarines undergoing repairs or modernization. According to Russian media reports, submarine repair facilities are almost 100% full. Consequently, part of the nuclear submarines in service, in the near future will undergo routine maintenance. Based on the above, it can be concluded that as of the second half of 2018, the available nuclear submarine fleet of the Russian Navy is conditionally ready to carry out the assigned tasks. It is able to ensure the state sovereignty, territorial integrity, and inviolability of Russia by keeping watch by maintaining constant readiness for a launch-under-attack or preventive massive nuclear missile strike on the territory of the country. However, for the task of protecting their submarines and intercepting the enemy, it is not ready. Separately, it should be said that part of the NPSs is obsolete. Existing 2018 plans for the commissioning of new ones will not improve the situation fundamentally. In this regard, in order to maintain a quantitative balance and achieve parity in the field of weapons for the Russian Navy, it is necessary to increase the number of cruise-missile-carrying nuclear submarines and torpedo submarines by 30%, without taking into account plans to re-equip the ballistic missile submarines. The underwater component of the Russian Navy, to a certain extent, did not address the problems of the surface component. The reason for this is that the SSBN was, is, and will be, a critical component of the strategic nuclear triad of Russia. The state tried to save it even in the conditions of collapse of the army and military-industrial complex in the 1990-2000 years. Here you can add the fact that the submarine fleet, to this day, remains an extremely science-intensive sphere. Therefore, Russia simply cannot afford to lose scientific personnel and technology. The progress of low-noise submarines of the Russian Navy. This topic is periodically raised in the Russian media, as it is one of the most important for the NPS. With the same noise level, the speed of the submarine of the most modern Project 885 is much lower than the American Project “Virginia” and “Seawolf”. Another proof of the Navy’s lag in the field of hydro-acoustics is the unnamed Northern Fleet exercises, during which the Russian submariners superimposed the flight path of the American reconnaissance aircraft Orion on the movement of Russian submarines on the map. All the turning points of the Russian submarines’ route were very accurately noted. In fact, the plane was not even looking for them, but was heading to a specific point. At the same time, given the possibility of new means of search, the problem of secrecy has no absolute technical solutions. A most advantageous solution would be to systematize work in the field of acoustic stealth development and systems to discover the enemy. The problem of rearmament on the promising “Bulava” ballistic missile. As of the end of 2018, of the 32 tests conducted, only 25 were successful. This ratio can hardly be considered successful. Different reasons were given for this in the Russian media citing low quality of components and a crisis in technology development. In light of this, the expediency of the project is questioned by a number of high-ranking Russian military members. The weight and range of the rocket is the most criticised. Given the number of tests, it can be concluded that Russia is serious about adopting this missile into service. The solution to this problem, probably, can only be the improvement of the rocket during tests. The problem of armaments of the Russian submarine fleet with anti-torpedoes. Studies on the possibility of effective destruction of attacking torpedoes with anti-torpedoes began in the USSR in the second half of the 80s of last century. Before that, the problem of detection and accurate targeting was solved. The Russian Navy still does not have such serially produced armament for operational deployments. This fact should cause concern to the naval leadership, as the military-technical idea of the western “partners” does not stand still and its fleet is armed with modern modifications of torpedoes (Mk.48, USA; DM2A4, Germany) and anti-torpedoes (SeaSpider, Germany, Tripwire, USA, MU90HK, France and Italy). The absence of Russian Navy bases abroad. The presence of naval bases in Cuba, Yemen, and Vietnam during the Soviet era made it possible to change crews in strategically important areas of the world’s oceans without returning the boats to the main bases. This allowed actual doubling of the patrol period of one submarine. Currently, Russia does not have such bases. Submarines, after a campaign, are forced to return to their permanent deployment stations. Recreating the spread of bases, their material support, at least one in each strategic direction (the western part of the Atlantic Ocean, the Indian Ocean) could be a solution to this problem. The presence of a base in the port of Tartus (Syria) can only be considered a conditional decision. integrated supply ship with a displacement of 36,000 tons. 1 floating base for submarines with 20,000 tons displacement. Insufficient number of staff. The downsizing of the Armed Forces of Russia at the end of the 2000’s touched the Navy as well. Currently, only ballistic missile submarines and cruise missile submarines are manned with two crews. The NPSs, in turn, are manned with one. But the crew, after arriving from the self-contained navigation, should rest, prepare for a new campaign, retake tests for self-management, and undergo training for a new type of weapons system and equipment. This is not counting vacations, missions, and other life situations. The constant readiness to perform the tasks of one crew will mean its morale and physical fatigue or will mean that the nuclear submarines will stand idle. In addition, with two crews, the command creates a kind of reserve. The ability of being able to recall one the two crews results in the highest level of preparation for performing important tasks of great responsibility. According to the commander-in-chief of the Russian Navy, Admiral Vladimir Korolev, the efforts of the Navy’s main command will be focused on the further creation and development of a qualitatively new, balanced composition and combat capabilities of the Navy. The Navy has to be capable, together with other forms and types of forces, to provide strategic nuclear and non-nuclear deterrence and protection of Russia’s national interests in the world’s oceans. The basis of the group of naval strategic forces will be the strategic missile submarines of the new generation. This new generation of SMSs have high combat capabilities in both offense and defense. Prospective submarines from the general purposes forces of the Navy will be multi-purpose carriers, capable of solving a wide range of problems in any area of the world’s oceans. To enhance combat capabilities, the nuclear-powered cruise missile carrying submarines and multi-purpose submarines will continue to be upgraded within the Navy. The top-priority directions for the construction and development of the Navy in the way of nuclear submarine units will be towards the improvement and maintenance (at a high level) of naval strategic nuclear forces in the groups of strategic missile submarines. This will allow for building up to the required level of combat potential of the Navy. It will happen through the construction and modernization of multi-purpose nuclear and non-nuclear submarines. 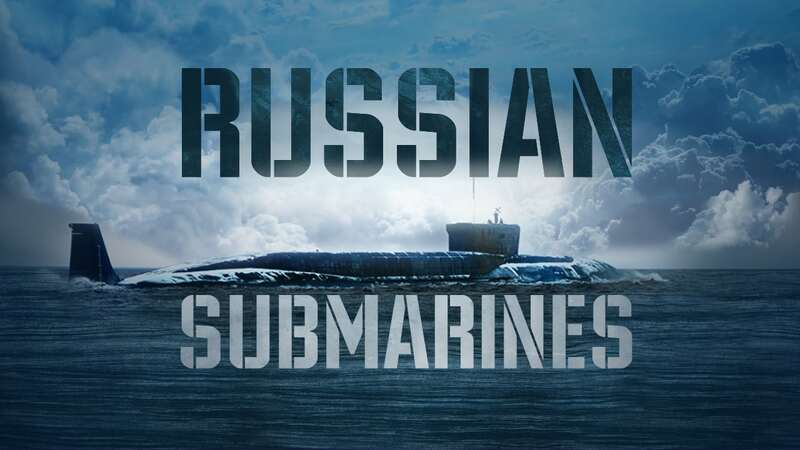 In evaluating the statement of the Russian Navy commander-in-chief regarding prospects for developing the nuclear submarine fleet, we can conclude that the military leadership understands the problem[s] and the solutions. Despite well-known problems within the industry, the Russia still has the scientific and technological potential to modernize and develop nuclear submarines. This expertise allows for the maintenance of defense capability and serves to deter a potential enemy from rash actions. In the long term, the role of the nuclear submarines armed with ballistic missiles is secure and will not be forfeited. It will remain an important tool for ensuring the security of the state. Oh by the way, these collisions that are occouring with our destroyers. The navy (yes, small n) is sowing what they reap when they are overloading their crews and endangering the ships to keep unattainable schedules. This may not be an accident. Perhaps they are being sent in harms way in the hope that they will fail against an opponent, then all those dead sailors will be paraded before the public to drum up sympathy. Tin cans were always expendable. Their berthing areas are death traps. I know, I been in them. Very interesting article. The real question is where did this guy get this information? And why is it here? Is this a disinfo article? Quite likely as accoustic stealth is becoming irrelevent d/t other factors. MADMAN had long ago forced the use of titanium hulls, but the stuff inside was still ferrous. This is just scratching the surface. So where DID this come from? Or did he just spend a lot of time reading Janes? When men go to sea in these boats, bless their lucky stars.Problem, reaction , solution verses breathing air and seeing loved ones again. Oh well. https://www.atomicheritage.org/profile/harry-truman If Roosevelt was taken out, was this because Roosevelt would have refused to drop the bomb? As far as Black Hidden Hand stuff promoting the Nuclear Arms race is one of the Darkest most tragic PSYOPs ever. Remembering that the Globalist Bankers created and installed Communism in Russia, they made sure Russia had the bomb also. So the PSYOP that worldwide all countries have to gear up to destroy each other. Always a rule that Dark Forces can not just destroy us, humans have to participate in their own destruction. …. Who was Secretary of War Henry Stimson? Skull and Bones. …. Who was Perhaps the most significant member inside the government was Secretary of War Henry Stimson, who set up the Black Eagle Trust, a cloaked operation in banking involving trillions in gold and jewelry stolen by the Nazis and Japanese and transferred into funds around the world used to manipulate Wall Street friendly dictators into power while crushing all opposition, especially anything remotely resembling a democracy. The operation apparently has tentacles into the extremes of the left and right wings which are manipulated in a Hegelian dialectical process.